Striata Spotlight Insights Bulk email document delivery: Build or Buy? With more than 11 years of experience in the electronic customer communication environment, Striata has successfully implemented effective adoption strategies across many industries, enabling its clients to achieve their paper turn-off goals. Striata’s clients currently achieve 12% to 20% paper suppression per annum, and experience a 30% reduction in Days Sales Outstanding (DSO). Striata’s registration-free, secure eDocument delivery model, coupled with proven paperless adoption strategies ensures that customers turn off paper, so businesses can benefit from the resultant cost savings. Does your company send out in excess of 100,000 documents every month? Is your company on track to achieve 50% paperless adoption? Are you concerned about the high cost of paper communications? Striata assigns a dedicated Paperless Adoption Specialist to each of its clients for the life of the eDocument project. Training customer service representatives to gather email addresses at every customer touch point is critical to the success of the campaign. 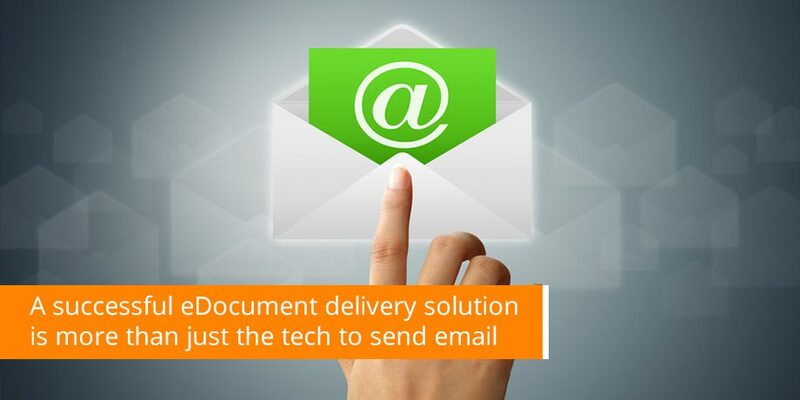 Each email address acquired, drives adoption of paperless documents. Customers are eased into the process, which ultimately reduces the churn back to paper. Multiple options provide customers with choice and flexibility. Customers enjoy a registration-free migration process. The adoption rate for existing customers is now in the hands of the company. The opt-out rate for this strategy is minimal because customers are not required to be proactive about retrieving their documents. The only change for the customer is in how their documents are delivered to them. Paperless adoption is maximized by convenience and ease of use.